Oh Royal Princess Alice how you come so close to making something nice and then fall short. 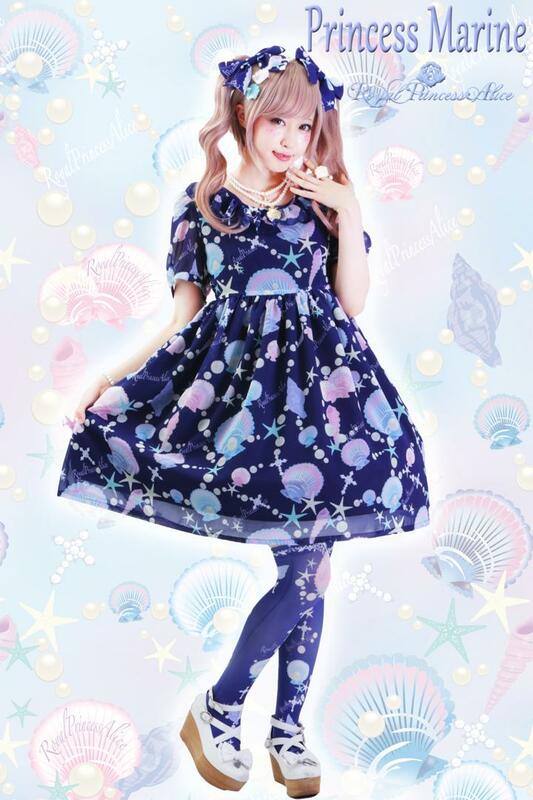 The print looks cute but the bust on the JSK just makes it scream cheap Jewel Marine rip-off. It tries to do something similar to the shell design on Jewel Marine, it looks okay but not great. 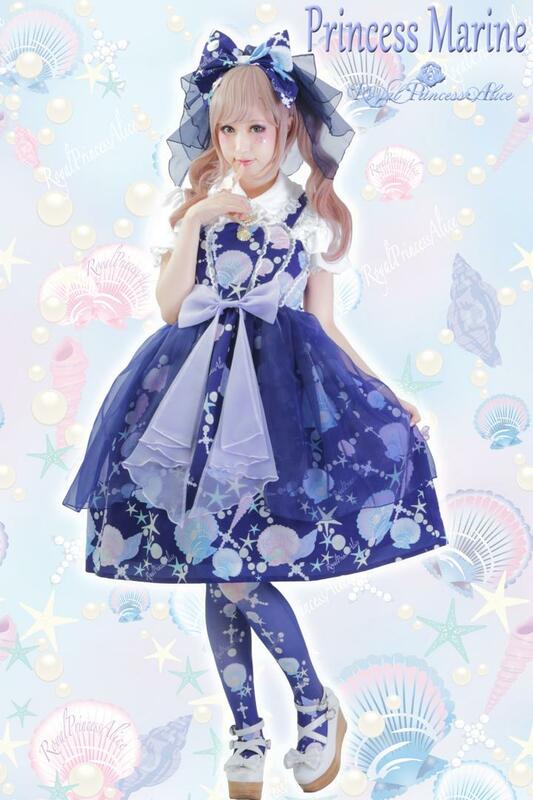 I have no idea why they keep putting those huge bows on the front of their dresses all the time, its like the Milky Cross bow but its just not made well enough for it to look good. The color of the bow on the navy version makes it even worse. 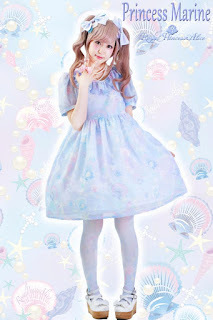 I still don't like sheer overlays and this one isn't even removable like on the Angelic Pretty dresses. Its too bad that they there is no trim at the bottom at all, no frills, no lace, no details. It's made worse since you see the lining thru the printed fabric, some lace would of fixed it. The OP is just really simple in design, the cut is okay but I just wish there was some more effort. Don't get me wrong I think these dresses are cute still but they could of been so much better. When you are taking the same prices as Angelic Pretty I expect better quality for my money.